Undated, late 1960s or early 1970s? 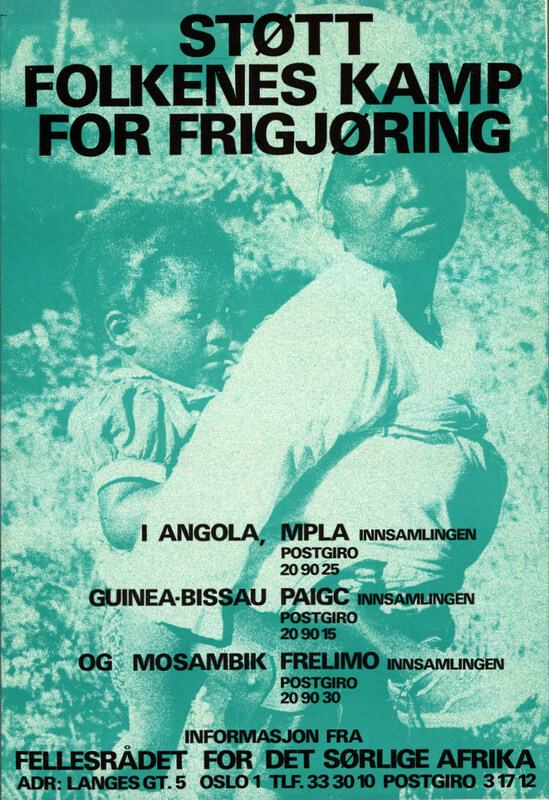 Poster on the liberation struggle and raising money for MPLA in Angola, PAIGC in Guinea-Bissau and FRELIMO in Mosambik (Mozambique). This item was digitized by the International Institute of Social History in the Netherlands, which made it available to the African Activist Archive.